I first discovered these gardens in the 70s, heading for Phoenix Park from Drimnagh, just past the Grand Canal and Kilmainham. Discovery is the appropriate term, back then these gardens were forgotten and in a ruinous state. Hardly a soul would venture in there, other than those wanting to step outside of society. Burnt out cars and burnt out people came to be the companions of the marooned masonry and overgrown parkland. You could just about discern within the remnants the outline of something which once must have been impressive, perhaps the whisper of faded empire. It was a place to give free rein to ghostly imaginings, conjuring a Classical past from Gothic decay. There were mood altering substances at work too. Like I said, it was a place where we could step outside of society for a while. The decay was at last reversed. In the 1980s, the Office of Public Works (OPW) began the restoration work. 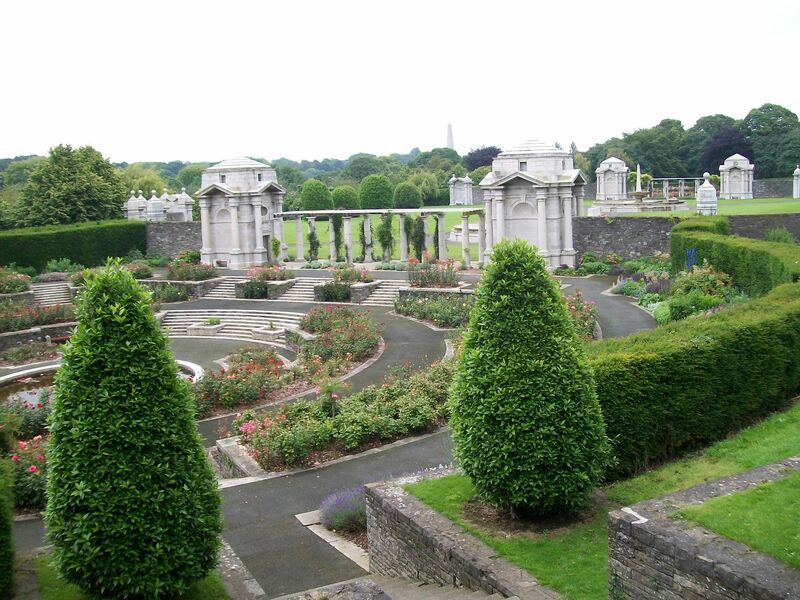 Completed towards the end of the decade, The Irish National War Memorial Gardens were restored to their original state. The memory of our true past was once more cherished. 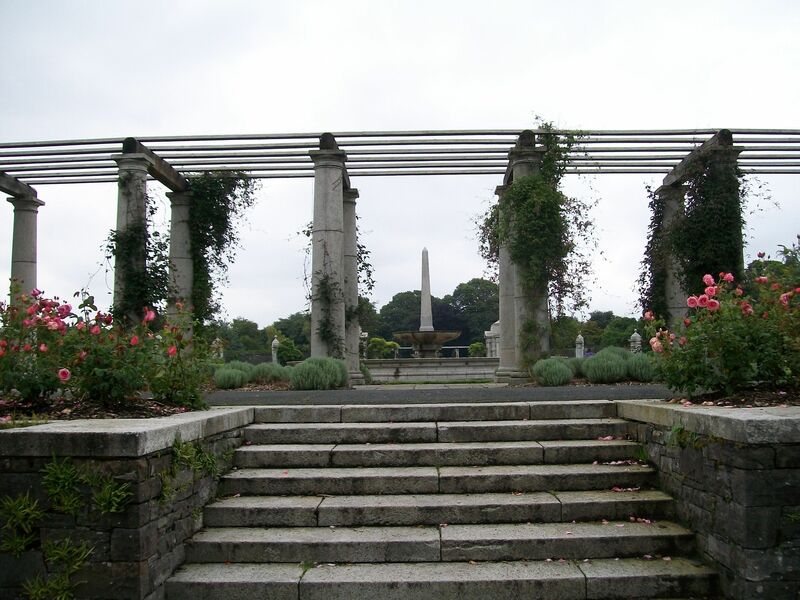 It is sometimes thought that the Gardens were allowed to go to ruin as they were essentially a British Army memorial to those who fell under that command in the Great War of 1914 to 1918. This does not stand up to scrutiny. The 1970s saw widespread degradation of our urban fabric, including parks. In large part this was caused by the economic recession of that period, but there was also a disregard for our architectural heritage, a craven desire to prefer the modern over the old. It is the reversal of the latter trend that has allowed us to reclaim the treasures of our built heritage. Mind you, the Gardens at Islandbridge are not particularly ancient. In their decade of ruin they were barely forty years old. The concept of a memorial garden came shortly after the end of the Great War, at a time when Ireland was entering the throes of its own War of Independence. The object was to commemorate the fifty thousand Irishmen who had died in the European conflict. This project was initiated in the fraught first decade of Irish independence, in a country riven by the bitterness of the Civil War. 1931 saw the development of the parkland between Islandbridge and Chapelizod on the banks of the Liffey. If the accession to power of Eamon De Valera did not seem auspicious, the project didn’t founder. Work commenced on the Memorial Gardens themselves in 1933. The project was completed in 1939, as another global conflict broke out. It’s notable that, in a spirit of shared memory, with the wars of independence so fresh in the mind, the workforce consisted in equal halves of ex-servicemen from the British and Irish armies. 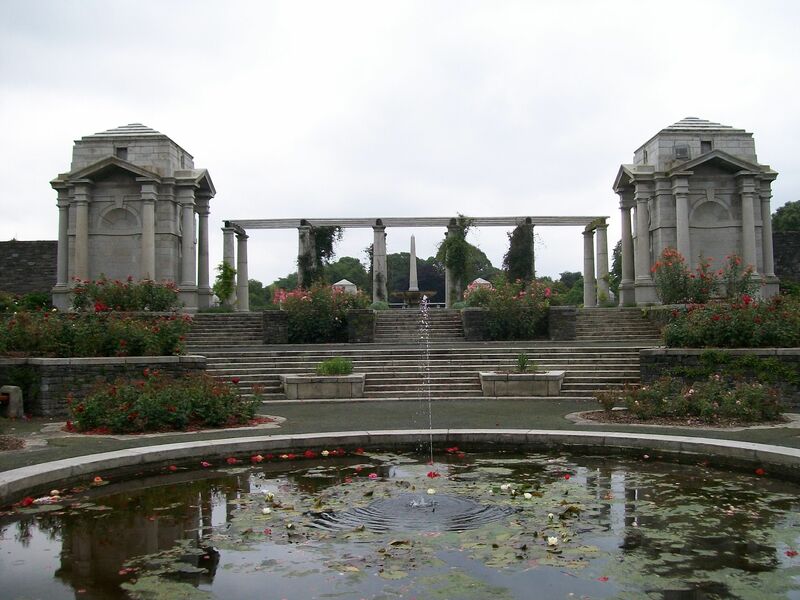 Sir Edwin Lutyens, one of the finest British architects of the Modernist era, designed the Memorial Gardens. World renowned, Lutyens had worked extensively in Ireland, including Heywood Gardens in County Laois, and at Howth Castle and Lambay Island in Dublin. His work is characterised by its harmonising of Classical and Modernist styles. At Islandbridge, he set out a symmetrical plan, rich in imagery yet restrained in effect. The main lawn is centred on a War Stone, symbolising an altar, while the flanking fountains are marked by obelisks representing candles. At each end are a pair of granite Bookrooms linked by pergolas. The Bookrooms are a repository for the eight volumes of books recording the names of all those Irish who perished during the war. These were designed and illustrated by Irish artist Harry Clarke, most renowned for his stained glass. The Bookrooms and books can be viewed by appointment. We had contacted the Gardens in advance, and received an informal, personal tour of the monument from one of the OPW onsite team. It is an informative and moving experience, to see entries for such young men, mere boys really, who drew their last breath on a foreign field, preserved here by name, forever young. The restoration of the park restores the dignity of those who fought in the war, but it is not, nor was it ever, a triumphal memorial. The classical elegance underpinning Lutyens design is a quiet reflection on the sacrifice of these men. It is, in effect, a monument to peace. The first visit of an English monarch to an independent Ireland, in May 2011, was marked with the laying of a wreath by Queen Elizabeth II at the Great Cross. Almost a century after that great fallout, a note of reconciliation was sounded. That war, which we now call the First World War, did not end all wars. Sadly, such dreams are just that. We can wallow in wishful thinking, seek solace in forgetfulness, but it is, perhaps, better to remember our history and hopefully to learn by it. Ireland did gain its independence through bullets and blood, our National Anthem notes this fact. But it was the force of civil solidarity, allied with vision and idealism, that won the day and, to an extent, won the peace. Don’t forget that.